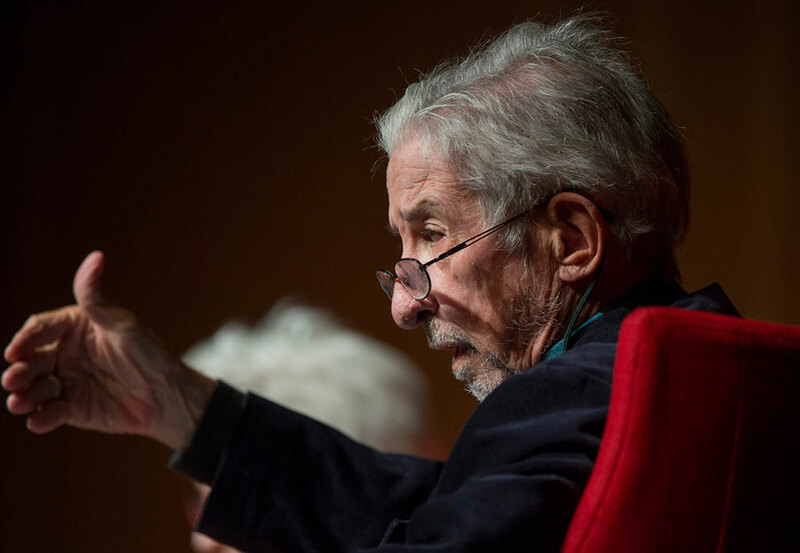 Peace and Justice Activist Tom Hayden Dies: Don’t Mourn—Organize! It was in the DNA of his name to be a radical leader, to demand social justice and a public voice for all. Thomas Emmet Hayden IV, who was told he bore the name of radical exiled Irish nationalist Thomas Emmet, passed away Sunday at the age of 76. Hayden had a seat on one of the buses for the 1961 Civil Rights Freedom Riders. He was a founder of the Students for a Democratic Society (SDS), a participant in the Democratic Convention riot of 1968, a legislator in California for almost 20 years, the author of twenty books, and a college professor. The FBI had a file on him with over 22,000 pages. To say his life impacted the American story would be a woeful understatement. Hayden’s wife, Barbara Williams, confirmed his passing, reporting that he had heart troubles and had become ill while attending the Democratic Convention. Hayden was a college student at University of Michigan at Ann Arbor during the Greensboro lunch counter sit-ins by black students and while the House Un-American Activities Committee searched for Communists in places like Hollywood. He met Dr. Martin Luther King in 1960 and took part in voter registration drives in the South. Hayden was among the three dozen activists who formed the SDS in 1960. He became the editor of the college newspaper and managed to get a degree in sociology at the same time. Hayden was married to a social worker, Sandra Cason, in 1961, but they divorced after two years. In 1973 he married actress Jane Fonda after meeting her at a rally against the Vietnam War. They were married for thirteen years before their divorce in 1990. He married Williams in 1993. Committed to peace, Hayden made illegal trips to Vietnam during the ’60s, making contact with those in Hanoi who would assist him in the release of American prisoners of war. He was arrested with others for inciting to riot and conspiracy for the 1968 Democratic Convention demonstrations. He and the others, known as the Chicago Seven, were acquitted of conspiracy, but five of them were convicted of inciting riot, which was overturned. Often controversial most of his life, whether because of message or method, Hayden was nonetheless among only a few others in this world who spend their whole life dedicated to equality for every human being. Hayden served in the government of California for 18 years, as a legislator in 1982 to 1992 and then as state senator. He did not win in his attempts to be governor or mayor of Los Angeles. He went on to direct the Peace and Justice Resource Center, a project of the nonprofit Social and Environmental Entrepreneurs. After announcing its closure, New America Media looks at its history and the future.